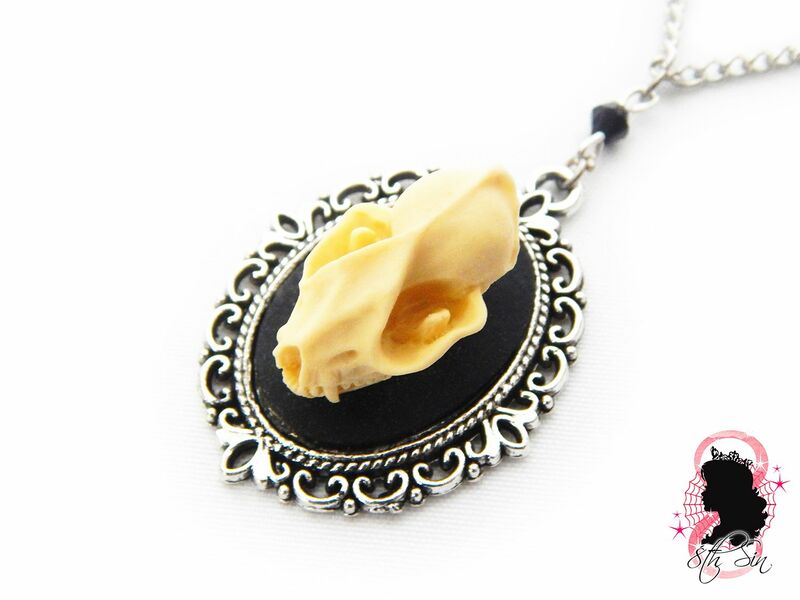 This is an antique silver necklace featuring a black and ivory bat skull cameo. This bat skull necklace comes in a black gift box ready for gift giving or as a treat to yourself. This necklace is in limited supply so make sure to grab it whilst it is available. Made with silver plated findings, acrylic jewel bead and 3D detailed resin cameo made in the Netherlands. 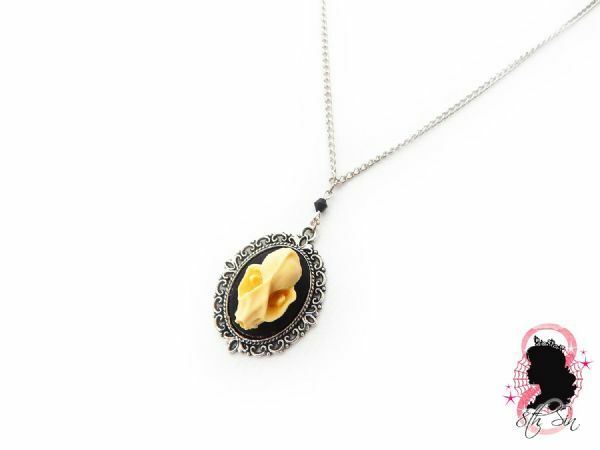 Necklace fastens with a silver plated lobster clasp. 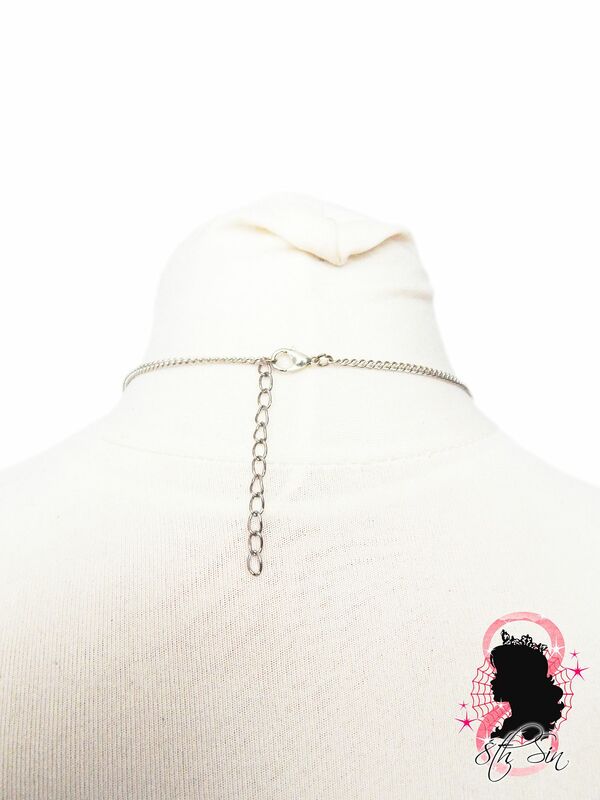 The total necklace length is 20"-22" including a 2" extender chain allowing you to adjust the necklace length. Cameo size is 18mm x 25mm not including the frame. Including the jewel bead, the necklace pendant measures approx. 50mm/2" in length.